Interviewer: Kylie thanks for being available, and thanks for giving us your time. So Kylie perhaps you should tell us how you got to become a bookkeeper? Kylie: Okay. Well I guess I didn’t initially set out to be a bookkeeper. I had done some Finance, Administration courses upon leaving school. I worked in Finance department for large software companies, for 80 specific regions. After having some children, I was sort of looking back into returning back to the work force part time. Which I thought, it’s going to be pretty hard to find work, and you’re on the road 10 hours a day, by the time you leave your house and you get back home. 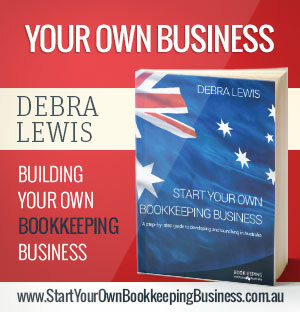 So my husband had suggested, had you thought about bookkeeping, and I just don’t know really how to get started. Was sort of the hardest part to tackle. So I mentioned it to a friend that I was thinking of doing it. She had sort of spoken with other people, like where she was working. She knew some people that probably needed bookkeepers. She said, I’ll get you a client, not a problem. Within a week, she’d rung up and got me a client. I was like, oh that’s great. That was my first ever client. We had quite a way, since he needed me to work, like more than one day a week for him. So end up having someone in 3 days a week, but it just started from there really. Kylie: So yes. 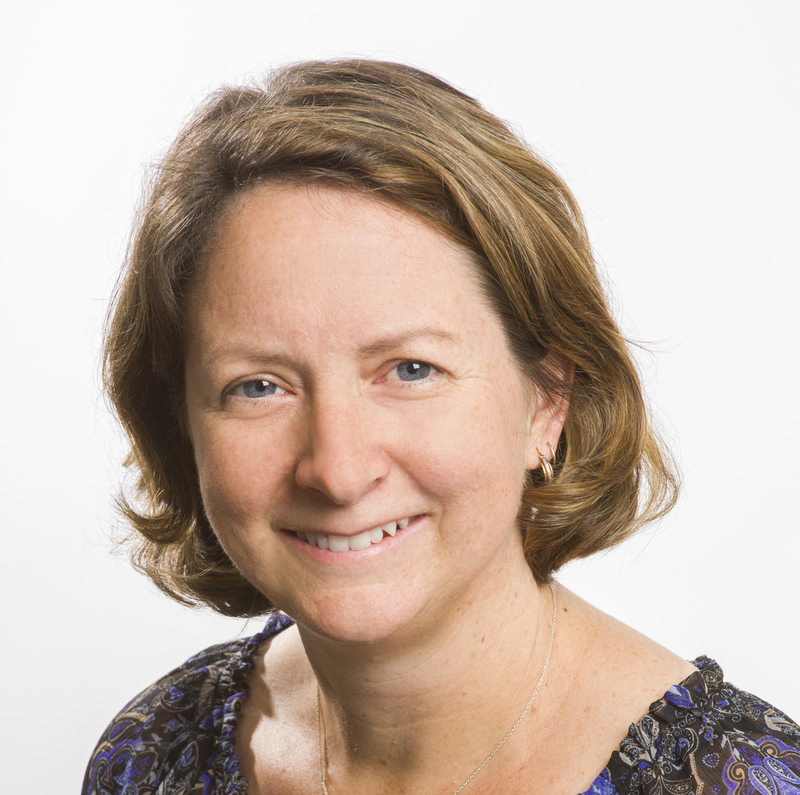 I guess I didn’t originally started off working in other companies, and then due to needing to find sort of part time work, that worked around my children, was why I initially stated doing the bookkeeping. So I guess called my own shots and things like that. Interviewer: Yeah got it. So from a background of Finance and Sales, you’ve got an interesting mix. I guess it must have been a bit of a transition, obviously. The course gave you that ability to lean a new skill. I presumed that’s why you did the formal Bookkeeping Institute course and attended classes. Or did you do it by online education. How did that course actually work out for you? Kylie: The course was really good. I probably knew most of the content of the course, but there were things that I definitely needed tweaking and learning. So I guess a lot of my knowledge of Bookkeeping was done in larger companies, in Finance departments that weren’t so much sort of down to dealing with small clients, or anything like that. So I had been working for quite a few years for myself, when all the new rules came in with the Tax Practitioners Board. That we had to hold certain qualifications. My qualifications were still over 10 years. So I found I had to go back, and actually get them renewed, and restudy and everything like that. 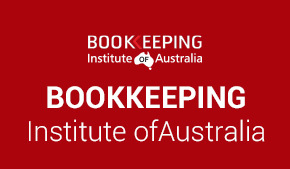 So that’s how I came across the Bookkeeping Institute of Australia. I was pretty fussy with, who I wanted to study with. And they say they would be able to tickle my boxes. And I could do work from home, I guess the correspondence way. They send you all the information, you do all the assessments and everything like that, and then you send it back to them. So that suited me, because I was still working probably 40 hours a week at the time. My children were probably under 6 years at this stage. So all studies was done on Sundays or late at night, like 9:00 at night, and everything like that. So attending courses during the day wasn’t feasible for me, because I still needed and wanted to work, and didn’t want to leave my clients. Kylie: In order to do the study. That’s how I came across them. That was quite beneficial. I also did a couple of extra courses, like extra components. Just to always make sure I’m properly qualified. Kylie: It would be a little bit better, if I did what I needed to be I guess. Especially because I didn’t have a University degree or Accounting degree, at all. So yes that’s how I came across, and yeah. Interviewer: Okay. So apart from the obvious benefits of flexibility, because you’re not sitting in one office 40 hours a week. Has the bookkeeping qualifications, and the capacity to have a number of clients work for you. In other words, are you building your clientele, what’s your situation in that regard? Kylie: I’ve done a few things probably over about the last 8-10 years. So when I started I was after a few clients, to be able to work part time, and days that I wanted to work, which was great. So I had clients that I’d go and see sometimes, some once a week, some once a fortnight, some once a month, or once a quarter. Then I had sort of like a small handful of clients to begin with, and kept with them. A lot of my clients also then became once a week. So I didn’t need 20 or 30 clients. I tended to have probably no more than say 10, and would see them quite regularly, because I had to do payroll for them, and things. I was always fairly flexible with, depending on what the payroll people always needed you to come in on certain days, and things like that. Kylie: But it started off like that. Then when I studied, it got pretty crazy and pretty busy. So after that, I cut back a few clients, and I went back. I think just to give myself a bit of a rest, because you never stop thinking about work or you know. No matter what you thinking of something that’s due at the next person’s place. Oh have I done this, haven’t I done that. I better quickly email them. And because there’s more business owners, they’re always happy to work, and talk about work at any hour of the day. Kylie: Conversations and emails like you know, after 9:00 and things like that. So yes, after I did the course and I was pretty exhausted, from the studying, the working, and everything like that. I went and, one of my clients had offered me, do you want to come in and work quite a few days. I was there already 2 days a week, and I went in get back with some clients, and worked with them for a couple more days a week, and cut that back. So I could just do, trying to have a bit more flexible time for the holidays. I found I never said no, to anyone, and school holidays would come around. And that’s when BAS and other things fall due. So I would be working 50 hours plus in those weeks, trying to get a lot of things done. So I thought okay, if I can go and see these persons a bit more. It’s gonna get me to stop logging on, when I get home from work, and pop walking by my laptop sitting down, emailing people, and you get stuck there for half an hour, 45 minutes. And it’s late at night, you want to go to bed, and you still working. So yes I did that for probably two years or so. Then I always knew I’d go back, and continue working for myself. I still kept some clients on the side that I’d see sometimes Saturdays. Still went to the Christmas parties. Still saw someone one day a week, as well. A little while ago I went back, and I left there because they needed someone in there 5 days a week, and I still wanted to be able to work for myself. So now I’ve gone back to working for myself again, kind a starting over again. I still see some of my old clients. I picked up some more newer clients as well. I’m trying to do it, so I’m not working 40 hours a week or so. I’m trying to do it, so I do have a day off, here and there, but sometimes it doesn’t quite happen. Kylie: But yeah, the flexibility is great. I probably don’t use it enough, to its advantages. I don’t really take sick days or anything like that. But I’m trying to get a bit more time off in school holidays. That’s my sort of thing now. When I say, look I want to take time off on school holidays. I’ll always get your work done. It will always be done on time, and everything like that, but just trying to get a bit more flexibility in my life. Kylie: I think that, it feels nice to feel free, and not trapped. Where If I do want to change things, I can go work for somebody fulltime if I want to. Or if I want a bit more time off, I can you know, drop a few clients, or pass them over to other bookkeepers, I know. Or pick up more if I want. So that to me, is really important. It definitely allows you, to be able to do that too. Interviewer: And that kind of answers the question that I inevitable asked. Which is, you know are you happy with the choice you’ve made going to his career. Sounds like you’re well on track, in your thinking about what it could offer you. Kylie: Yeah definitely. Although I never thought I would be doing this. I have a few friends that when we did study. We all hated bookkeeping, I can’t believe you’re doing that. I said, well it works well. Because I can take the kids to school. I try and work school hours mainly during the day. So I don’t have to do after school care, or anything like that. If I need to work a little bit on the weekend, I’m not really too fuss like that, because I can become a bit of a workaholic at times. Kylie: And there are other options you can do. Like probably I think I would study Accountancy later and maybe sort of try a bit of that later. Cause I realized a lot of people don’t understand what Accountants tell them. Although we can explain it to them in a basic way. I think they are too scared, or too nervous to ask more detail. So I think there’s a bit of, not really a gap in the market. But a few things I’ve identified, that I know some clients would like, and I think maybe I might go and do that later on. So maybe when the kids are a bit older. Kylie: When they’re in high school, they don’t need me around as much. Where I can work till 5:00 or 5:30. At night, not so much of a problem. So yes, I think it does. It can lead into so many different things, I think which is good. Interviewer: Yes. So just finally Kylie. I’m interested in this from a personal development point of view, and a business development, which I’ll explain in a while. But how do you think the role of bookkeepers, can evolve. I mean, I’m not suggesting the prima fascia reason for bookkeepers would change. I hear a lot about. In fact a sad story, another client of mine, that I do some publishing work with. He’s an insolvency expert, and he tells me that he’s had over the last 6 months, several bookkeepers call him. Kind of to alert him to a possible consultancy, for clients they were handling, who are in trouble. The bookkeepers were taking the initiative. In other words, they were picking up the phone, searching for possible solutions to a problem, that was very much in their face, and maybe even not necessarily accepted by the business analyst, because trouble looming. That occurred to me, and I’m sure it occurs to Accountants and Bookkeepers at large. Often bookkeepers in a great position to guide a business owner, more than just do compliance returns. What do you think about that? Kylie: Yeah I think you’re definitely correct in saying that. I guess I find, we don’t just sit there and do a lot of the data entry, and they do rely on you for more than just that, as you say. I guess, because we’re removed from the situation of, because it’s not our money. I find it’s very easy to, it’s number on a piece of paper, so we can be quite removed from any emotional feeling of, oh my goodness I’m spending $1/4 million dollars on something. Okay, you know I just shoot off numbers of any amount, and I don’t. Not that they don’t mean anything to me, but I’m not emotionally tied to it. Kylie: Or anything like that, which is great. Because I’m not a huge risk taker. Sometimes when I see things. I think oh, there’s no way I’d risk my house for that, but some people are more than happy to do it. We see certain things, we probably think of what needs to be done, in order to correct this situation, in order to move and save certain things. Where I guess maybe business owners, they try and run their business. Although they think about that, it might not be at the fore front of their mind, might be concentrating on other things. Or just trying to get through all the day’s work. So I guess, I think they do rely on us. Although we’re not meant to answer any tax questions, or things like that. I think they definitely added this scope and they’re doing a lot more than what the average person, think bookkeepers does. By some paying bills and writing checks, and things like that. I guess we trying to, take the whole business healthy that way too. Interviewer: That’s a good point and I want to finish up on. So just don’t hang up now. I’ll just turn off the recorder here, and come back to you. Hang on a sec.